Join ACR hosts Hesher, & Spore along with Branko Malić of Kali Tribune, Mike Robinson from UK Column and Patrick Henningsen of 21stcenturywire. 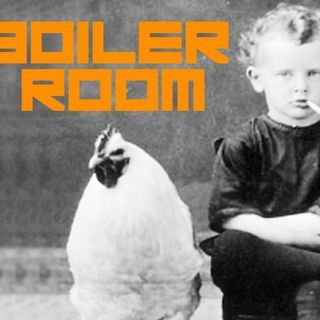 In this broadcast listeners will be hearing us go around the BOILER ROOM on the encroaching UN Agenda 2030, the European migrant crisis, the US political climate and a variety of other topics on this special edition of THE BOILER ROOM. If you want to participate, bring something interesting to throw into the boiler... Join us in the ALTERNATE ... See More CURRENT RADIO chat room.